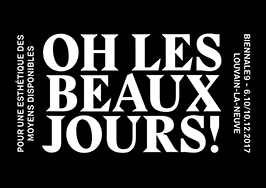 Claerbout David – OH LES BEAUX JOURS ! single channel projection, 2D animation, stereo sound. Rather than telling the story of a little boy abandoned in the middle of a jungle, far from civilisation, David Claerbout’s take on the animated movie classic from 1967 turns the sentimental and comic story about dancing, singing, and trumpet-playing jungle animals into a film that dispenses with all ‘humanization’ of the animals, and even with its human protagonist Mowgli. The animals behave instead in a manner befitting their species. Ball, Bagheera and Kaa, whose songs and slapstick acts have been delighting children and adults alike for decades, are now back to being pure bear, panther and python. For « The Pure Necessity », David Claerbout and a team of professional artists painstakingly redrew the frames of the original movie by hand, one by one, and then assembled them to create an entirely new film. Now devoid of narrative, the animals move amidst the jungle as if the story were of their own making. « In 1967 The Jungle Book appeared in movie theaters, in a time of proliferation of movie theaters and television after the second world war. More than just a rapidly developing market, cinema in particular became a place where people came to sit down together, without relating directly to one another. Cinema and television were a manner of not thinking or talking about recent barbarities. After all ,many had also witnessed the first world war as a ‘war to end all wars’. Cinema had become a unifying space. Destruction, the carnivalesque and romance could be replayed ritualistically in a temporal space that was certain to end, and often to end well. Now that we watch content on tablets -alone- we can understand cinema and television as a place for being together, even if that means just sitting side by side in silence. If what Margaret Thatcher said back in the eighties became true: that there is no society, only individuals and their families, it should be no surprise that by the year 2017 the once energetic characters of Jungle Book are folded back onto themselves in silence. This may reflect back onto the spectator looking at ‘Die reine Notwendigkeit’, he or her too, looking in solitude. 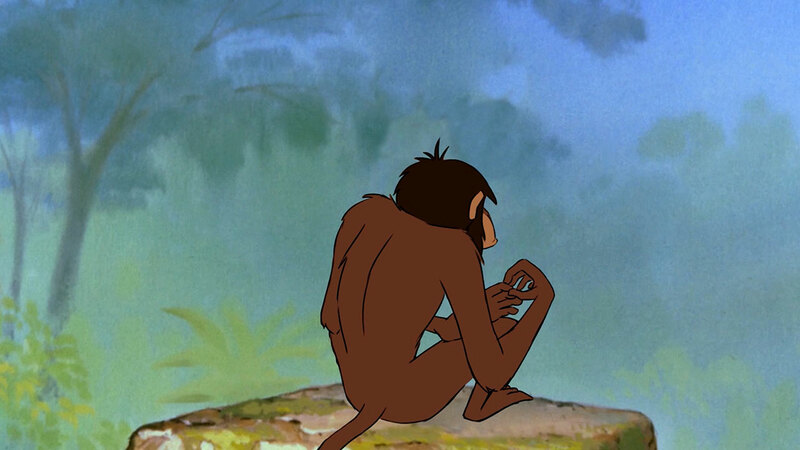 The choice to work with Jungle Book was not accidental. The story is that of the strong and potentially cruel helping the weak, until emancipated and ready to face modern life. Around 1967, the individual did not look anything like the individual of today. The individual was a single brick in the architecture of society, today the individual is that society, millions of them. The creatures in Die reine Notwendigkeit seem distracted, non efficient in what they are doing. they are wasting their animal lives. As the animation unfolds, ever meandering along backdrops that are recognizable from the Jungle Book animation , it becomes clearer that a lot of very efficient labour went into drawing creatures living so inefficiently. The apathy in the animals is the result of years long work of frame by frame animations by hand. David Claerbout (1969, Kortrijk). Vit et travaille à Anvers. Il travaille avec différents media comme la photographie, l’art digital et les installations vidéo. Le centre de sa pratique est la relation entre l’image et le temps, qu’il utilise comme support avec la technique digitale et la manipulation des images. David Clearbout créée des formes hybrides à mi-chemin entre le cinéma et la photographie, qui stimulent la perception du spectateur en estompent les frontières entre réalité et fiction, spontanéité et complexité.